These thirty seconds just ain't enough! Turning an animated series, specifically those from the manga, into a live-action film always poses a certain cinematic dilemma. For every masterfully rendered movie like Rurouni Kenshin or Oldboy, there is a Dragonball Evolution or Attack on Titan waiting to happen. The upcoming silver screen adaptation of Fullmetal Alchemist is poised to be on the good side based on its trailer. Who doesn't know the story of alchemist brothers Edward and Alphonse Elric, whose mission in life is to right a wrong they've committed by restoring their bodies using the philosopher's stone. 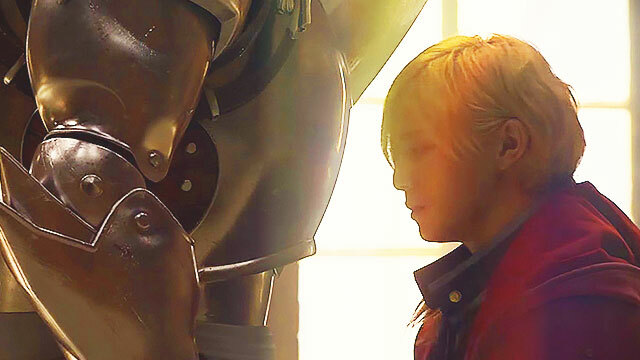 Its official website recently released a 30-second teaser, which gives fans a sneak peek of Ed (who will reportedly be played by Ryosuke Yamada) in action and CGI Al, and after watching it, we're seriously pumped to see the rest. According to the teaser, Fullmetal Alchemist opens in Japan winter of next year. While we're not sure when will that be, we're not the only ones eager to find out the date of the local screening.